(1) Creation of office; appointment; term; removal. There is hereby created the office of the Village Administrator under and subject to the authority and direction of the Village President (Mayor) and Board of Trustees. The Village Administrator shall be the chief administrator of the village and shall be responsible to the above corporate authorities for the proper administration of the affairs of the village and policies adopted by the Board of Trustees. (a) The Village Administrator shall be appointed by the Village President (Mayor) with the advice and consent of the Board of Trustees. (b) The term of appointment shall run concurrent with current term of the appointing Village President (Mayor). At the end of which, the new or incumbent Village President (Mayor) may choose to reappoint the Village Administrator subject to the above process. (c) The Village Administrator may be removed by the Village President (Mayor), subject to reinstatement by two-thirds vote of the Board of Trustees in accordance with § 3.1-35-10 of the Illinois Municipal Code. (2) Qualifications. The Village Administrator shall be appointed on the basis of education and professional ability. The appointment shall be made without regard to political considerations, race, color, national origin, religion, gender, age, disability or other legally protected statuses. (a) Effectively and efficiently administer the policies adopted by the Village President (Mayor) and the Board of Trustees. (b) Supervise the activities of all departments through the appropriate department head and coordinate activities between departments and offices of the village. (c) Attend all Village Board, committee and advisory meetings and participate, as required, in all discussions unless excused by the Village President (Mayor). (d) Make such reports to the Village President (Mayor) and Board of Trustees as may be required, concerning the programs and operations of the village, its departments and offices, including analysis and recommendations on various courses of action, alternatives and fiscal impacts and will keep the Board of Trustees fully advised regarding the current financial condition and the future needs of the village. (e) Assist the Village President (Mayor) and perform such duties as may be directed by the President and/or Trustees. (f) Create and formulate the annual budget for timely submission to the Board of Trustees and prepare such administrative and other reports of the activities of the village as may be required at the conclusion of the fiscal year and periodically throughout the year. (g) Coordinate and ensure appropriate staffing for all village boards and commissions and participate as necessary and appropriate in deliberations. (h) Provide for the enforcement of all laws and ordinances of the village and be the primary point of contact with the Village Attorney. Coordinate attorney assignments, disseminate legal work product to the Board of Trustees, serve as the point of contact for legal advice required of any village department head and ensure protection of attorney-client privilege. Nothing herein prohibits the Village President (Mayor), Trustees and department heads from consulting with the Village Attorney as needed. (i) Investigate and respond in a timely manner to resident inquiries and concerns related to the operations of the village. (j) Promote good relations and cooperation with other governmental agencies and the public. (k) Work with the Village President (Mayor) and Board of Trustees to effectively administer and coordinate communications with the public and the press, including but not limited to, press releases, newsletters, website, social media and other forms of official correspondence. (l) Propose and recommend to the Village President (Mayor) and Board of Trustees such personnel rules, regulations and staffing needs as may ensure effective and efficient operations for the village. (m) Recommend appointments, and when necessary recommend suspension or removal of any village employees to the Village President (Mayor) and Board of Trustees. 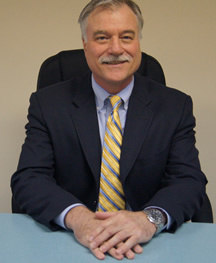 (n) Supervise and administer collective bargaining processes of the village assisted by appropriate department head(s)/labor attorney and recommend to the Village President (Mayor) and Board of Trustees agreements for consideration and final approval and oversee the administration of contracts reached through the collective bargaining process. (o) Oversee evaluation of village employee performance and provide written evaluation of department heads at least once a year. (p) Participate in and oversee the development and implementation of economic and community development programs for the village including business retention, expansion and recruitment programs, TIF administration and other economic development incentive programs. (q) Oversee the administration and compliance of all contracts entered into by the village. (r) Oversee all purchases of materials and supplies as necessary for the village and as provided for in the annual budget/appropriations ordinance. The statutory requirements for the solicitation of bids must be followed and Board approval is required for purchases that exceed $7,500. (s) Identify, coordinate and ensure preparation of grant and loan applications for village programs, operations and services and ensure continued compliance with any grant or loan requirements. (4) Compensation and employment agreement. The terms of compensation of the Village Administrator shall be such as is approved by the Village President (Mayor) and Board of Trustees. The Village President (Mayor) shall, with subsequent approval of the Board of Trustees, enter into an employment agreement, that specifies, in writing, the level of compensation for the Village Administrator. Said employment agreement may also include provisions for one or more of the following: benefits, agreements for separation pay upon termination of employment, continuing professional education, other appropriate agreements describing the working relationship between the Village Administrator and the elected officials and performance expectations for the Village Administrator. Said employment agreement and the stipulations therein, including salary, shall only apply to the signatories of the agreement. (5) Work status. The position of Village Administrator is considered full-time and outside employment is prohibited without approval of the Village President with advice and consent of the Board of Trustees. (6) Absence. If, because of temporary absence, disability or illness, the Village Administrator is unable to carry out the functions of this office, the Village President (Mayor), subject to the advice and consent of the Board of Trustees, may appoint a member of the village’s staff or a qualified consultant to serve as acting administrator and carry out the duties of the position during the Village Administrator’s absence. (7) Conflict of interest prohibited. The Village Administrator shall not derive any personal benefit, directly or indirectly from any contractual work or business of the village or from the sale of any article from the village or from the purchase of property from it. The Village Administrator shall be subject to the ethics and conflict of interest policies and ordinances of the village. (8) Matters directed to Village Administrator. Except for purposes of inquiry and as otherwise provided by state law or village ordinance, elected and appointed village officers shall deal with the administrative services of the village through the Village Administrator. Elected officials shall not give directives to any department heads or subordinates either publicly or privately. (9) Bond. The Village Administrator shall be covered by the blanket bond for all employees. (10) Authority of elected officers undiminished. Nothing in this section shall be deemed to diminish or detract from the statutory powers and authority of the village’s elected officials.